The latest additions to my collection. I got these foreign titles for a steal at Book Sale. 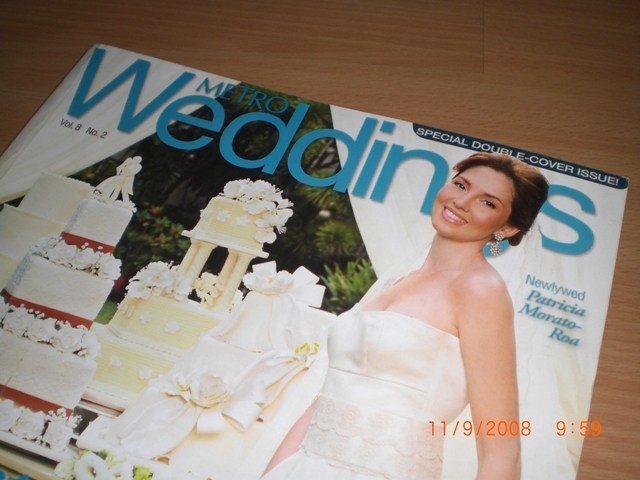 The latest issue of Metro Weddings has two cover options. I purchased the one with Patricia Morato-Roa posing with a variety of wedding cakes from the Red Ribbon bakeshop. The other cover features actress Cheska Garcia. 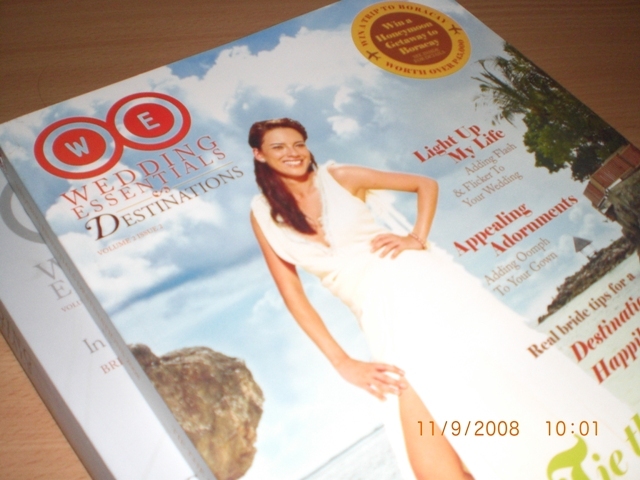 I bought the Wedding Essentials Destinations, which also has two cover options. Even though we’re not planning on having an out-of-town wedding, it contains so much wedding inspiration and honeymoon ideas that would still help in our own preparations. 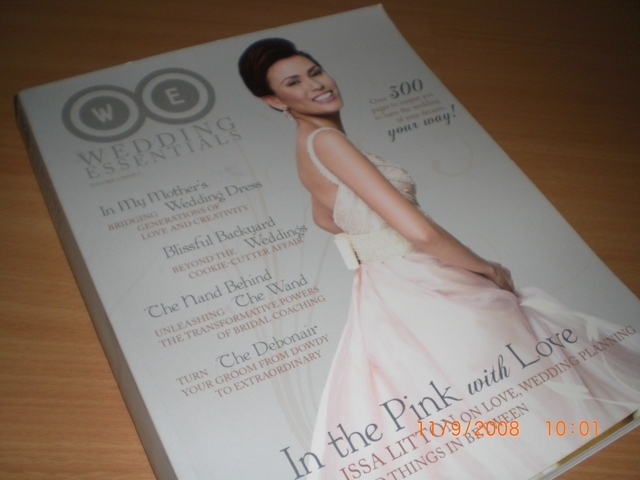 The latest Wedding Essentials issue I bought from the publisher’s booth at the Wedding Expo at a discounted price! 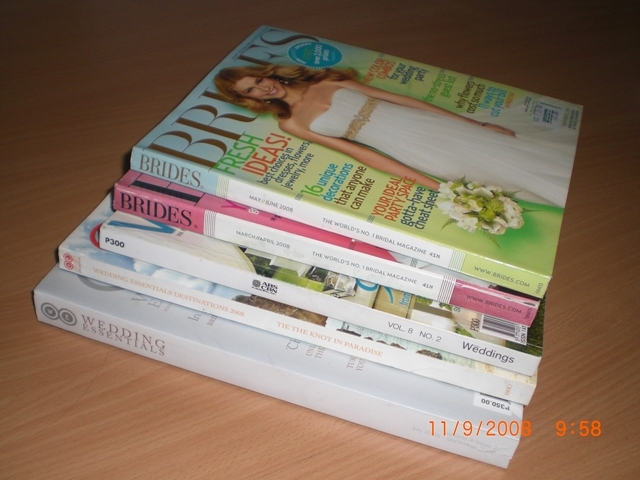 Soon, I’ll show you my favorite features in these magazines. For now, all I can say is they’re totally worth it! 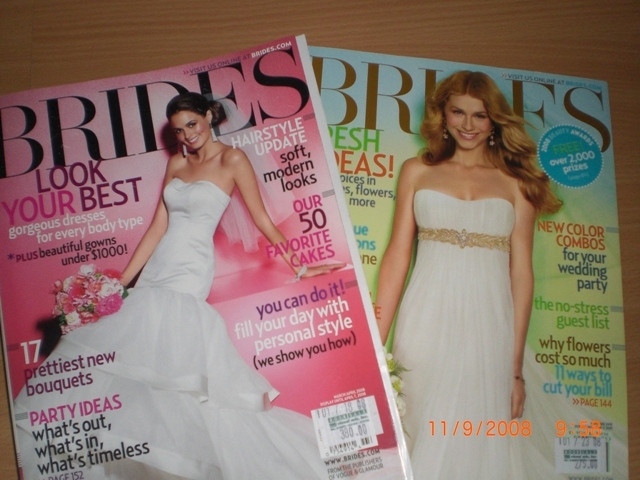 See Chapters 21 and 23 for related posts on bridal magazines.